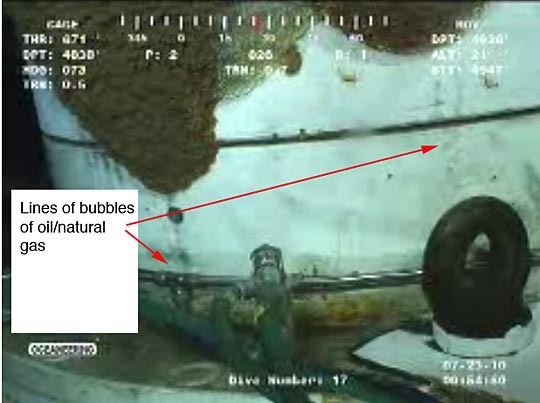 I have not been over to the ROV sites for a while, since the rigs are preparing to close, but (h/t to JamesRWhite) I have to say that if I were running a pressurized line that had the leak that is now evident in the Hos ROV 1 feed, I would be seriously thinking about doing something to alleviate the problem. (Such as pumping in mud to alleviate the driving pressure). And if I didn't do something there were two members of my staff who would have bent my ear until I did.